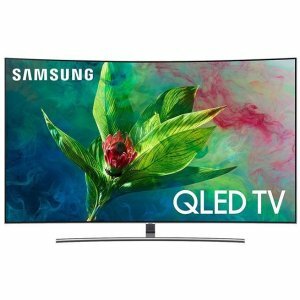 Today only(2/11), Newegg offers the Samsung Q7CN 55" QLED 4K HDR Smart Curved TV for $1099.99. Deal ends 2/11 23:59 PST. Features: Its combined proprietary features like Q Color, Q HDR Elite and Ultra Black Elite optimize picture clarity, color and contrast, and its Motion Rate 240 lets you enjoy fast-moving pictures with utmost clarity. This Samsung smart TV provides several connectivity options including Wi-Fi, LAN port, HDMI and USB interfaces.